It may be hard to get into the mind-frame of someone who wanted to play this over and over again back in its day, but it really is impressive how much thought went into it. The slowly building tempo, the frustratingly narrow beam (that can more easily slip through the last rank) , and the crumbling shields that guard you: simple yet powerful building blocks for a sense of tension. And then, that blaring UFO with its promise of bonus points to throw off your concentration. 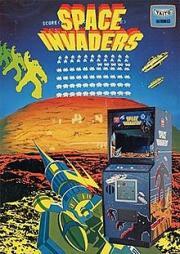 I played this when it just hit the arcades the sound was amazing and it was a great game too. Mar 01, 2018 lucas M.
Overly simplistic compared to even other similar games that came not long after. Lovely iconic look and design to it though. The greatest thing about this game is the episode of Futurama with Fry using his skills in the game to defend the planet, to the sounds of Tom Sawyer. It's a far cry from Galaga. Feels clunky. Perfect for when it's Saturday night, you have no date, a two-liter bottle of Shasta and your all Rush mix-tape. i mean, it's better than pong.